We have told them (Pakistan), if they don't improve, they know what will happen to them, Modi said. 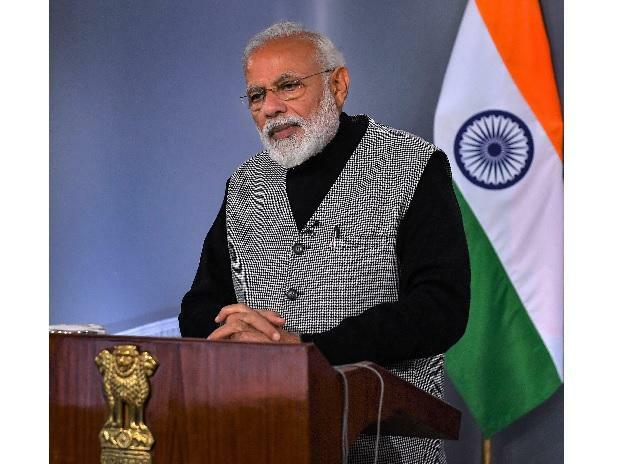 Pakistan has been conveyed the message that if it doesn't improve, it knows the consequences it will have to face, Modi said, addressing a rally in Dhar district of Madhya Pradesh.India gave a befitting reply to the Pulwama attack by entering the den of terrorists in Pakistan, Prime Minister Narendra Modi said Tuesday. "India gave a befitting reply to Pulwama attack by entering den of terrorists. We have told them (Pakistan), if they don't improve, they know what will happen to them," he said. Hitting out at the opposition parties for seeking proof of the Indian Air Force's action on Jaish-e-Mohammed's terror camp last week, Modi said the air strike happened in Pakistan, but "some of those sitting in India were hit by it". Taking a swipe at attempts to cobble up a mahagathbandhan (grand alliance) against the BJP, Modi said the opposition leaders are doing 'mahamilavat' (high adulteration) in Pakistan's favour. "These 'mahamilavati' persons have become poster boys of Pakistan by terming it as an ambassador of peace. They are misleading people of the country and trying to demoralise our armed forces by asking for proofs of the IAF air strike," Modi said. Without naming senior Congress leader Digvijay Singh, he said a leader termed the Pulwama attack as an "accident" and dubbed slain al-Qaeda terrorist Osama bin Laden as an "ambassador of peace".